This bar was shot up at golf course at Yellowstone Club. We took this shot as the early morning light was just starting to shine on Lone Peak. 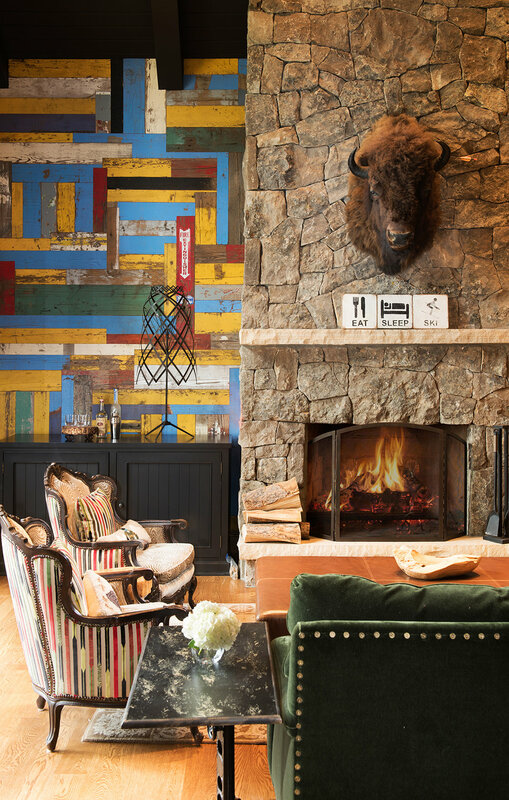 Whether logging a few miles hiking past the trailhead, casting for that huge rainbow trout, or taking off the ski boots after a full day of powder on the slopes, there is one critical place to stop before plopping down on that cozy couch - the house bar, of course! An almost universal feature in mountain homes, the home bar is a central gathering place after a hard day taking in all that the mountains have to offer. 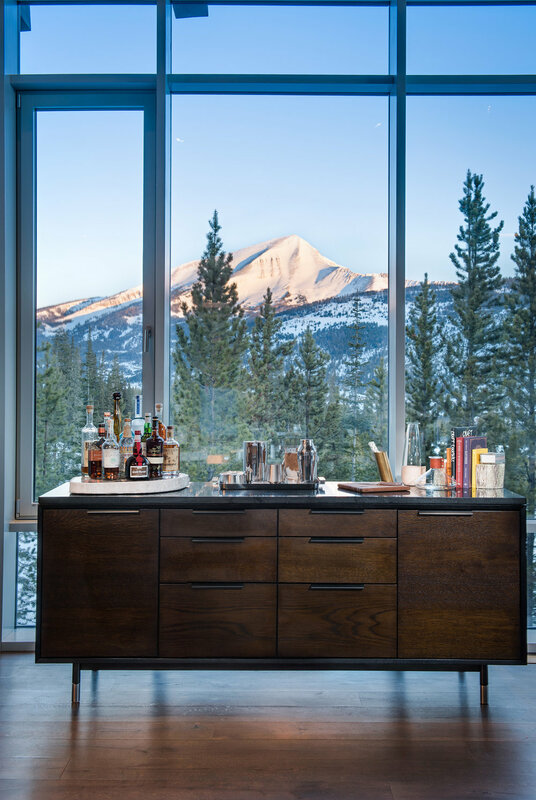 When it comes to these custom home bars, fortunately, I've had the opportunity to photograph a few of Big Sky country's finest. Just recently, in fact, one of of the bars I photographed in Yellowstone Club appeared in the recent issue of SVPN - Sun Valley Property News. This simple yet elegant cabinet-style home bar was furnished with the perfect accent pieces to go along with the cocktail ingredients (by Jennifer Hoey Interior Design). The backdrop of Lone Peak isn't too shabby either! I love the open feel of this bar. Shot at Spanish Peaks in Big Sky, this bar welcomes you as you walk up to the front door. This Reid Smith Architects home up at Yellowstone Club has one of my favorites bars of all time! The modern look and clean, simple feel makes this a bar I could sit at for a while! This bar/wine cellar was located in the lower level of a gorgeous home in Bozeman. The stone and rock gives off the feel of a wine cellar in the Chianti region of Italy. What's a bar in Big Sky without genuine Warren Miller cartoons on the walls?